Are you a PC gamer looking for the best way to fully enjoy the latest console-focused titles? For certain games and simulators, the use of a mouse and keyboard is dissatisfying compared to the comfortable and controlled feel of a controller or gamepad. There’s a lot of functional, unique and dependable options to choose from; use this guide to find the best controller for PC users based on how much you’re looking to spend and your desires for features and connectivity. The age-old question when it comes to gaming peripherals: should I go wired or wireless? For gamepads and controllers, there are almost always options for both. Many wireless controllers come with batteries and can be used via Bluetooth or WiFi connectivity, allowing the user to have more maneuverability. With wired controllers, you’re dealing with more cords, but also a solid, more reliable connection that can be useful if you tend to play games for hours at a time. Ideally, you’ll want to find a controller that is rechargeable or has the ability to be quickly plugged in to avoid being disconnected from the action in a game. Traditional console-style gamepads come with two analog sticks, ABXY buttons, a D-Pad, left and right bumpers, left and right triggers, a start button, a select button and a home button. Many of the best controllers for PC, Xbox and PlayStation may also come with additional triggers, integrated speakers and interactive touchpads that make PC gaming with a controller much more practical. PC controllers may also have options for customizing buttons commands and layout profiles if you’re looking for a more personalized or versatile controller. To get the most out of your PC controller, find one with vibration feedback for more immersive in-game experiences. The look, feel and construction of a controller can play a huge role in its overall quality and usability. For the best controller for PC that’s comfortable to use for extended periods of time without developing hand fatigue, look for ergonomic controllers with smooth grips and balanced weight. Good PC controllers will also have responsive buttons and sturdy analog sticks and bumpers that are able to withstand heavy use. Ultimately, the controller you choose should come down to the types of games you play and your personal preference. For example, FPS gamers should look for controllers with hyper-responsive triggers. MMO or strategy gamers may require controllers with touchpads and programmability for easier navigation. If you are searching for a decent quality controller, with numerous handy features, Steam Controller is the great device to be considered. Support for Windows, Mac, Linux, etc. makes it usable on various PC platforms, while wireless and wired connectivity make it suitable for every type of room and add to its overall adaptability. Ergonomically built and fully customizable with dual-trackpads, gyroscope, accelerometer, back-grip buttons, dual stage triggers (can be used both as digital and analog) and exceptional haptic feedback, this controller offers a great experience to the user. 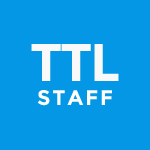 This is especially so in strategies and other games that are heavily dependent on the use of the keyboard and mouse – their function has been successfully replaced with trackpads that do that job flawlessly. Unfortunately, in action games, the situation is a bit different because trackpads have a tendency to be unprecise and not that comfortable for us. Also, face buttons are not that easy to reach, which makes the whole gaming process a bit tricky. Generally speaking, Steam Controller is a good option for PC gaming, with a decent set of features, nice customizability and a fair price. Xbox controller might be a more comfortable option, but you will also be more than pleased with Steam Controller. 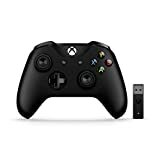 Microsoft Xbox Wireless Controller is an improved version of the previous generation controller, with great connectivity and comfortability. Solidly built, with numerous button improvements and exceptional trigger responsiveness, enhanced with vibration motors and the rumble function for a more realistic gaming experience, this controller presents a great option for Xbox fans. Thanks to its Xbox Wireless and BT connectivity, it can be easily connected to your console, PC, tablet or any similar device. Also, Microsoft Xbox Wireless Controller allows for connection of up to eight controllers at once, which is more than enough for a nice gaming reunion in your house, and hours and hours of pure fun. The fact that it’s sleek, minimalistic and available in numerous color schemes makes this device highly appealing to a large base of fans, especially when you add its more than affordable price. In other words, if you want a quality, but not too expensive tool for your Xbox adventures, Microsoft Xbox Wireless Controller is the device to go for. For everyone looking for the best controller for their PlayStation “journey”, DualShock 4 comes as an ultimate solution that will make their gaming an amazing experience, and their gameplay highly comfortable and intuitive. A quality build, ergonomic, accurate sticks, a highly responsive D-pad and lots of features: this device is the best choice for long hours in front of your gaming screen. Although Sony controllers always had an issue with other platforms compatibility, that has changed a bit in the case of DualShock 4 and the controller can be also used on PC or Mac and is also supported by Steam. With this device, you are getting good connectivity thanks to the BT 2.1 and nice set of ports (Micro USB, extension port, 3.5mm jack), which aren’t a decisive factor when talking about the quality of a controller but are surely a welcome bonus. More importantly, PlayStation DualShock 4 comes with a touchpad, integrated light bar, built-in speaker and offers almost a perfect performance that will make your gaming a pure pleasure. If you want the best possible controller device for your PS console, DualShock4 is the right choice. Microsoft has obviously learned a lot from their failure with the first Xbox controller and since then they have been producing superb devices one after another. Microsoft Xbox 360 Wired Controller is one of them. Highly comfortable, ergonomic and with an extraordinary performance, this is the device to own. Eight-way directional pad, high precision thumbsticks and triggers with two pressure points are some of its major features that guarantee a superb gaming adventure. When you also add instant response times and strong vibration feedback, along with a great design, which took many of the elements from Controller S, to the equation, you realize how good this product actually is. Although it comes only with wired connectivity, which kinda limits its use, Microsoft Xbox 360 Wired Controller is still a great choice for a Windows and Xbox 360 console. Just think of its great responsiveness, but also the fact that it is a part of the Precision Series that enhances every element in that department, making the whole device a highly efficient gaming tool. In other words, if you are into high-action games, this controller is a must-have. For everyone looking for a device that will allow for a regular console TV gaming, but also provide a way to play your favorite titles while you are on the go, Nintendo Switch Pro Controller comes as a great, if not the only option. This utility may not be perfect, but it surely gives a completely new approach to gaming that will equally suit the newbies and the experienced gamers. Although it doesn’t have tactile triggers, everything else needed for a comfortable use is there: HD rumble, smooth rotating analog stick, amazing D-pad, action buttons with a nice tactile feel, etc. Thanks to a large amount of tech incorporated into this controller, the majority of the games seem much better and are easier to control. This, in the first place, involves driving and shooting games, where gameplay is instantly upgraded. On the other hand, titles such as the Super Mario Odyssey are better with a Joy-Con set-up that is coming in the package with the Switch console. Altogether, Nintendo Switch Pro Controller is a nice alternative to the classical Switch controller, even though it lacks the sensibilities of Xbox or PlayStation controllers. Despite being expensive, this device is a great option for single-player engagement thanks to its exceptional button layout, and overall a highly versatile utility which makes it perfect for every Nintendo Switch fan. Although Microsoft Xbox Elite Wireless Controller is nowhere near cheap controllers, its great characteristics make is a worth every cent. Beautifully designed, with great versatility in mind and an exceptional performance, this device is probably the best Xbox controller you can find. Its great features include rubberized grips, swappable stainless steel components and a great touch finish, which makes it one of the most comfortable devices available. With it, the majority of the games will be much easier to handle and control, including numerous racing, sport and FPS games. Versatility is one of the biggest advantages of this game set: other than its four face buttons and two bumpers, almost everything else is changeable. Unfortunately, there must always be a downside, and in the case of Microsoft Xbox Elite Wireless Controller, it is a lack of macros, which are completely non-existent. Also, its price tag, although fair and realistic, still counts as much as three or four new titles and it is rather questionable what pays off more. That, on the other hand, doesn’t change the fact that the Microsoft Xbox Elite Wireless Controller is among the best devices of this type and a great tool for every die-hard console gamer. If you own a Shield TV, then you probably need a proper controller for it in order to fully enjoy every benefit that this amazing streaming box is bringing in front of you. This primarily involves playing your favourite games, since the other functions of the box can be fully exploited by the remote that is already included in the package. For that purpose, NVIDIA has long ago created, and with time upgraded, a SHIELD Controller that allows you to fully enjoy the game playing on this box set. You will be more than pleased to know that this controller is not just made for Android TV, but can also be used on other platforms. The controller itself comes equipped with a very strong dual vibration feedback, excellent triggers, but also headset jack and a Micro USB port for charging. Its battery life is very good and it lasts some 60 hours or so. Also, the controller is equipped with a mic that allows for the use of Google Assistant and giving voice commands to it. All in all, NVIDIA SHIELD Controller isn’t the perfect device, but if you want to fully enjoy your Shield TV gaming, this device is a necessity. Maybe it isn’t cheap, but your gaming adventures will prove to you that it was worth it. Logitech Gamepad F710 is a controller build for PC gaming enthusiasts looking for a good, yet affordable utility. A quality build, with DirectInput, Xinput, D-pad and numerous other buttons, triggers and functionalities, this controller offers plenty of options, enough even for the most demanding users. Although it is a bit heavy and thick compared to the other similar controllers, Logitech Gamepad F710 has a highly comfortable feeling that, along with its great 2.4GHz wireless functionality, makes it a perfect choice for long hours of gaming in front of your gaming monitor. You will be glad to know that it supports all sorts of Windows systems, including old but still highly appreciated XP. Thanks to the Profiler software, you can customize many of its buttons and controls and make them suit your needs perfectly. Also, due to the existence of quality dual vibration motors, vibration feedback to the gamers is excellent along with the whole playing performance, making the controller worth every cent. Altogether, if you are looking for a superb performing device, that will give you plenty of features, customization options and a great feeling, Logitech Gamepad F710 should be your choice. People trying to find a professional Xbox controller with an exceptional performance that will allow for comfortable long-time gaming and that offers great precision and efficiency, will be glad to know that such a product exists, and it is called Razer Wolverine Ultimate. Its performance is superb, and if you want the best possible device for your eSports or similar type games, there is no better option than this one. It is expensive, but on the other hand, it offers Interchangeable D-pad and thumbsticks, comes with two additional bumpers that can be remapped, four multi-function triggers, the possibility of creating the staggering 500 different gaming profiles (you can set RGB lighting, feedback levels, sensitivity, etc.) and a lot more. Also, Razer Wolverine Ultimate is among the most responsive gamepads on the market, and among the most ergonomic ones, that will keep it comfortable during long-lasting gaming sessions. On the other hand, one of its rare downsides is a lack of wireless connectivity, but even so, this is an almost perfect piece of hardware that is just too good to be true. If you are nostalgic about the past times and like that 90’s feeling, you will be more than glad that SN30 Game Controller brings exactly that feeling to the user. Based on the classic Nintendo design, this controller, before anything else, brings an emotional effect that, on the other hand, is not all that it brings. There is great compatibility with numerous platforms such as PC, Mac, Nintendo Switch, Android, etc. which makes it suitable for a large base of gamers. 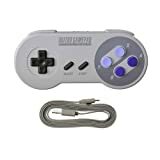 SN30 Game Controller comes with the BT wireless connectivity, rumble function, rear triggers, d-pad and many other functions that make it more than compatible with both old and new games. If you want to fully enjoy titles such as the Cuphead, the Mega Man or Sonic Mania, there is just no better deal than this one. Altogether, SN30 Game Controller is almost a perfect device that combines two great moments: nostalgia and modern technology, in a proper way. Because of that, it is surely among the best game controllers that could be found. For the fans of the first and third person shooters, this is the dream-come-true controller. For every other game genre, this device shouldn’t be your first choice. Shooting games were obviously the first thing designers of this hardware thought about. The position of the buttons, their feeling, four additional remappable multi-function buttons, Mecha-Tactile action buttons, and adjustable trigger – everything has been created with that in mind. The size and weight of the controller are good, which cannot be said about the d-pad, which is not really designed for movement or fighting games, but is good for shooting, as previously mentioned. 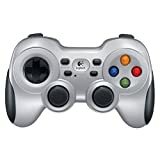 This controller is PC and PlayStation4 compatible and comes with a both BT and wired connectivity, which wasn’t the case with the previous generation that offered only the wired option because of wireless lag. Generally speaking, Razer Raiju simply isn’t an everyday controller, but a device specifically made for a certain type of games. Therefore, if that is what you need, it will be perfect; otherwise, it would be a poor and expensive choice at the same time. When it comes to buying the best controller for PC gaming, there’s no shortage of options when it comes to price and design. While there’s plenty of high-tech controllers available that you can use for a multitude of games, that doesn’t mean you also have to spend an arm and a leg. Whether you prefer the classic feel of a wired console controller or you’re looking for a multifunctional wireless gamepad for more versatility, your options are plentiful; it’s just a matter of assessing your gaming style, budget and personal tastes. If you’re willing to pay more for a controller with lots of features such as lighting, extra programmable buttons and interactive touchpads, you might consider the Steam Controller, the Xbox One Elite or the NVIDIA SHIELD. For something more comfortable and basic, the Microsoft Xbox 360 Wired Controller and the Logitech F710 are popular and affordable choices. Even if you already have the best gaming keyboard, joystick, racing wheel and gaming mouse, no gaming PC setup is complete without a convenient and functional controller or gamepad. Don’t get left behind in the virtual dust of the rapidly evolving gamer tech world – find the best controller for PC gaming that works for you and your playstyle! You should also check out the Gamesir G3S. Can be used as both wired and wireless and has a battery of 18 hours. Assuming that you don’t use the LEDs.